Fast moving objects, such as aircraft, when seen in satellite imagery often show ghosting or a ‘rainbow effect’. This is caused by the way satellite cameras work taking several photos in succession using different wavelengths of light. 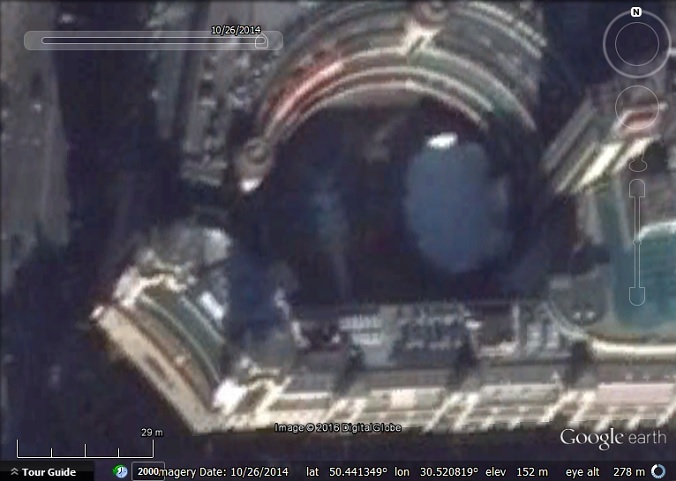 The separate images are later combined to produce the full colour images we see in Google Earth. If anything moved between shots then we see an image for each of the three primary colours in slightly different locations and usually a fourth, slightly higher resolution image, in grey-scale. To see examples of this see this post we wrote on the subject. This effect has inspired artist James Bridle, who has created two different artworks based on the rainbow effect. We came across this article about his second one. You can read more about it on the artist’s blog here. Also check out his other artwork here as many of them are mapping or satellite imagery related. 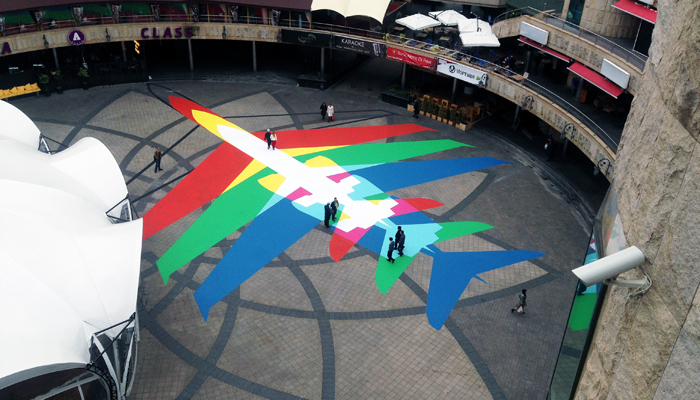 Rainbow Plane 002 in Kiev, Ukraine, by James Bridle. We were able to track it down in Google Earth imagery, but it is only barely visible and the rainbow effect is not visible at all. We also tracked down most of the locations of another series of his called ‘Drone Shadow’ but only found one in Google Earth imagery and it is also only barely visible. To see the locations in Google Earth download this KML file .